Modern Media Tech can help small and medium businesses with their IT and AV needs. 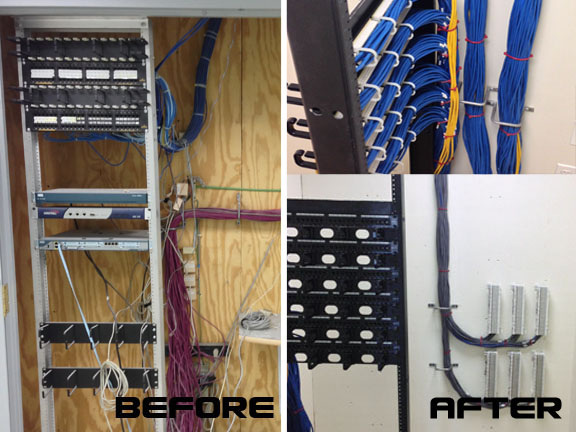 From the board room to the server room we can help you with your next project. Whether you are are looking for help upgrading your infrastructure or installing equipment in your new boardroom we can help you with all your next project. If you are a small business looking for an easy to use, more affordable IT solution for your business Modern Media Tech is the place to look. Whether you need new data drops, faster WiFi or to move to a flexible cloud based solution for your e-mail and phones we can help. As always our estimates are complimentary so please contact us for quick, professional help on your next project. Modern Media Tech is can provide cloud based phone system for your office or small business through Ring Central. Perfect for people who work from home or on the road Ring Central brings your office phone to your desk phone, cell phone and computer. This is perfect for business who want a high end flexible phone system without investing in old or complicated equipment.